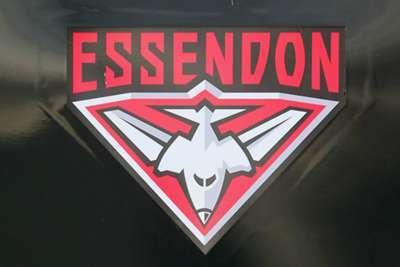 All 34 past and present Essendon players will appeal their anti-doping suspensions in a last-ditch bid, the AFL Players' Association (AFLPA) confirmed on Thursday. Lawyers based in Switzerland have been instructed to officially lodge paperwork to the Swiss Federal Supreme Court later on Thursday after the Court of Arbitration for Sport (CAS) found the players guilty of breaching anti-doping regulations last month, a judgement which left the club without 12 members of their squad for the entire 2016 season. CAS upheld an appeal by the World Anti-Doping Agency (WADA) after the 34 were initially cleared of any wrongdoing over the club's controversial 2012 supplements program by an AFL anti-doping appeals tribunal. Essendon, who will fund the appeal, were found to have violated the anti-doping code in 2012 after being administered prohibited substance Thymosin beta-4. But in a statement released on Thursday, AFLPA chief executive Paul Marsh said: "The players have decided to exercise their legal right to an appeal in an endeavour to clear their name and ensure that a just outcome is achieved. "The decision to appeal was a decision for each individual player alone having regard for their own circumstances. "The appeal has been made on the ground that the CAS erred in determining that the WADA appeal should be conducted as a de novo hearing. That is, WADA should only have been allowed to appeal the unanimous decision of the AFL Anti-Doping Tribunal on grounds of either legal error or that it was grossly unreasonable. "It's important to note that the players have not sought an injunction to cause a stay of the CAS decision, meaning they will remain suspended until the Swiss Federal Supreme Court has considered and determined this matter. The appeal is not about an immediate return to football for the players involved, but rather it is about obtaining a just outcome and clearing their name. "We expect to be advised by the Court on the next procedural steps, including key timings involved in the appeal process." Amir Khan had no doubts that the big fights would come again as he prepares for a tough assignment against Terence Crawford in New York.